New Prince's Trust research revealed as new ad campaign is launched to urge employers and others to look with fresh eyes at young people from troubled backgrounds and give them a change to get their lives on track. The research also highlights how young people from traumatic childhoods are more likely to struggle in early adulthood with such things as their mental and physical health, finding employment, and relationships with friends and family. In response to these findings, The Prince’s Trust is launching a new integrated campaign, which includes the first TV advert in nearly a decade. The campaign breaks today on LinkedIn, as a person listed as ‘Homeless’ begins approaching employers to ask for online endorsements of her employable skills such as resourcefulness, problem-solving, independence, resilience and fast learning. Connect with Lois Amanda Clarke. The TV advert allows glimpses into the hardships some young people experience, from a teenage boy caring for his siblings and alcoholic mother, to a girl forced into homelessness and other young people suffering abuse. The script is written in the form of a personal statement from a CV, off-setting the harsh realities of these young people’s backgrounds against the attributes they have picked up along the way – from self-motivation and communication skills to the desire and determination to succeed. The campaign will also span TV, cinema, radio, out-of-home, print and social media, and has been created by the youth charity’s pro-bono agency CHI&Partners. 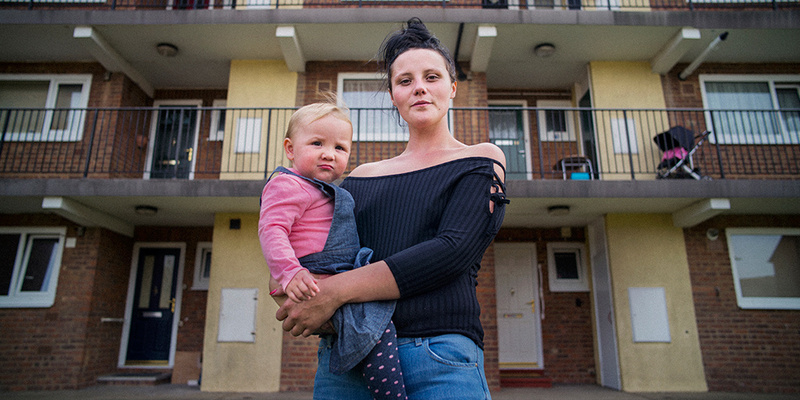 Although the economy is getting back on track, there are still hundreds of thousands of young people out there who are struggling on their own, from young people who are caring for parents and siblings, to those who are living on the streets. "Getting a job is pivotal in making sure these young people get the chance to realise their potential. "The charity market is more competitive than ever, so we wanted to remind people that The Prince’s Trust helps the most disadvantaged young people, and that by working together, we can reach more young people to help them turn their lives around." The strength, determination and resilience of young people able to overcome a difficult childhood or adolescence is so often woefully underestimated by potential employers. 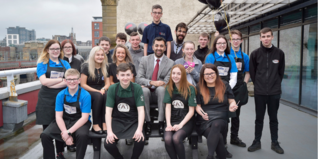 "We wanted to show just how much these young people have to offer, how much potential they possess, and challenge businesses to think twice about how they view candidates from more disadvantaged backgrounds." The campaign will also be unveiled this evening at The Prince’s Trust Leadership Dinner, attended by HRH The Prince of Wales and more than 500 industry leaders from across the technology, media, construction, retail and financial services sectors. The evening will raise vital funds for some of the UK’s most disadvantaged young people. ‘Learn the Hard Way’ was created by William Cottam and James Crosby of CHI&Partners. The 60” TV and online spot was directed by Seb Edwards through Academy, and is supported by Clearchannel, Bauer Media and Digital Cinema Media (DCM) alongside Barclays, the largest supporter of The Prince’s Trust Team programme.